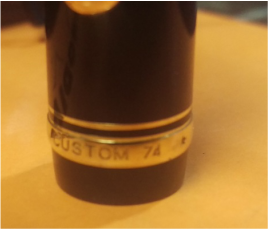 ​The Pilot Custom 74 is an above average fountain pen developed by Pilot. 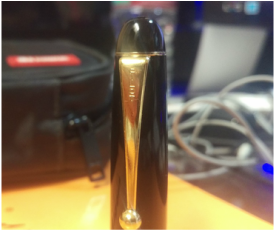 The pen has a number 5 size, 14k gold nib. The flex version has a fairly soft nib, allowing line variation from .3 mm to roughly 1.2 mm. The pen weighs in at 22 g when posted, and about 14 g uncapped. Note that the pen utilizes cartridges or converters, and both the Pilot CON-50 and CON-70 are compatible with this pen. The pen measures 155 mm long posted, and 143 mm uncapped. On Amazon, it's priced in at about $160 USD, as opposed to its retail price of roughly $200. However, I purchased mine for just $80 during a promotion. In my case, it's a great deal, but for $160-$200, there are a few pens that're more desirable than the Pilot Custom 74. However, it's difficult to find a decent gold nib flex pen other than the Platinum 3776 within this price point, so make note of that as well. The pen is very comfortable to wield. ﻿​Due to its lighter cap, its very easy to write with both posted and unposted. Also, the pen has a very smooth threading on its grip, so even if you hold the pen with taller grip, it's still very comfortable to hold. Under regular use, the pen writes wonderfully. The pen writes very smoothly under normal conditions, and it was much smoother than I expected. 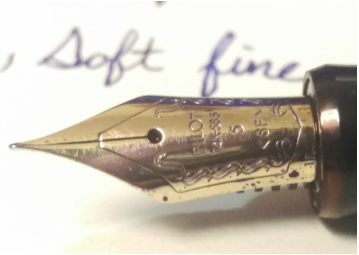 I encountered no issues when writing in the pen's natural nib width. However, when flexing the nib out, the story is very different. The writing still feels the same, but I encountered flow issues when using different inks. Based on my experiences, if you intend to flex, try to stick to more fluid inks, such as Iroshizuku or Watermans. For example, when using thicker inks like Mont Blanc Royal Blue, the feed can't keep up with the flow, resulting in consistent railroading. The Pilot 74 loses several marks in my opinion regarding construction. The resin body doesn't seem to be very well built, due to the small errors in the dimensions of the pen. However, the aforementioned small errors in construction have led large effects in the possession experience of the pen. For example, it seems as if either my cap or body are too large or too small, respectively. 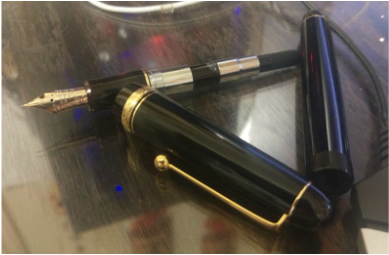 When capped and tightened, the cap creaks along the body of the pen, producing an unpleasant noise. However, the resin is very solid, and doesn't seem like it will crack during normal use. Another drawback regarding construction includes the clip of the pen. 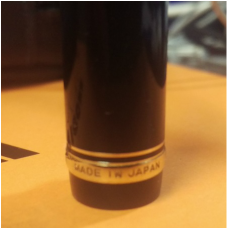 For some reason, some areas of the clip band that holds it onto the cap are flush, while other areas protrude from the cap. It's not a major offense, but it stuck out to me.